Situated in Shelly Beach, Villa Albatross 2 is a beautifully decorated self-contained, 3 bedroom, 2 bathroom, ground floor holiday home that can accommodate 4 adults and 4 children in bunk beds. The unit has a stunning open plan dining room and fully equipped kitchen, catering for all your holiday needs. Outside you will find a covered patio with braai area. All linen and bath towels are supplied, but guests must remember to bring their own beach towels. The unit is ideally located with private access to Shelly beach, and within walking distance of the popular Shelly Centre with a variety of shops and restaurants. 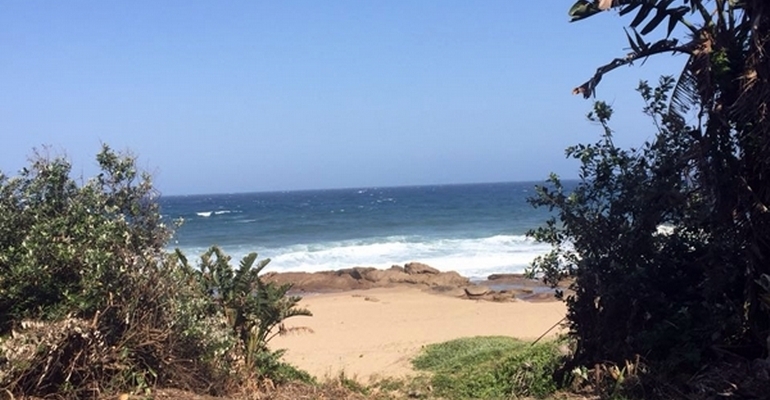 The popular St Michaels and Uvongo swimming beaches are close by. Sleeps 4 adults & 4 children in bunk beds. 3 bedrooms, one with a double bed, second room has two single beds. The third room has 4 bunk beds.